I’ve had quiche several times, and never really liked it until about 2 years ago, when I had quiche at a local country club. It was so light and custard-like, it was instant love. 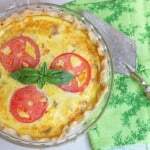 Until then, most quiche I had was much cheesier, and much firmer in texture. Replicating the dreamy quiche was going to be hard. About a year later, a fellow classmate brought some homemade quiche to an end-of-year luncheon. We were all so hungry and everyone was drooling over her quiche, which looked so pretty with sliced tomato adorning the top. 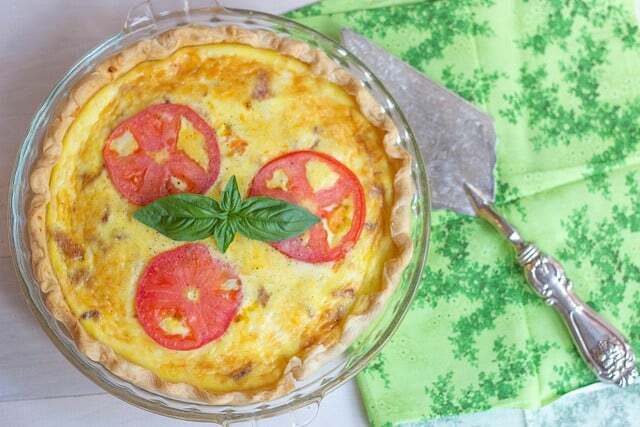 When we finally broke for lunch, her quiche proved to be the hit of the gathering. We ALL asked her for the recipe and she just smiled and shrugged as if to say “recipe? – I just mix it all together”. 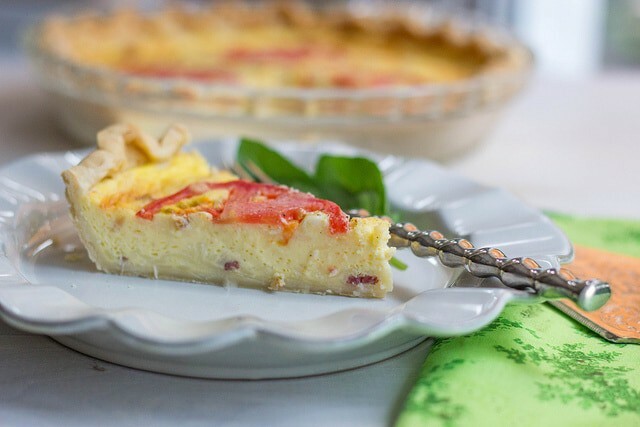 After some hesitation, she managed to list the ingredients: 6 eggs, a cup of milk and whatever cheese she had on hand (although she said that the Greyure cheese really makes the quiche good, as in quiche Lorraine). Her quiche didn’t have any veggies or meat in it, just cheese. It was perfectly good just the way it was. Pour mixture into pie dish and slide it into the oven. Bake for a total of 40 to 45 minutes until center has firmed up.